Two international non-governmental organisations (NGOs) today revealed documents which showed the involvement of outgoing Sarawak Chief Minister Tan Sri Abdul Taib Mahmud (pic) and his son in a lucrative waste disposal agreement signed 15 years ago with a German firm. The revelation, coming just two days before Taib is expected to take over as the Sarawak governor, contains more incriminating evidence of Taib’s alleged corruption and abuse of power, said the NGOs, Global Witness and The Centre to Combat Corruption and Cronyism (C4). They said the documents disclosed that as part of the deal signed in 1998 between Trienekens and the state government, Trienekens engaged a local company – Sarawak Capital – owned by Taib’s eldest son, Datuk Seri Mahmud Abu Bekir Taib, to provide up to US$2 million (RM6.6 million) worth of “consultancy services”. It was also revealed that the State Secretary Tan Sri Hamid Bugo had signed the Memorandum of Understanding (MoU) on behalf of concessionaire, Sarawak Wastes Management Sdn Bhd, with Trienekens. The agreement was also signed by Mahmud, who acted as a witness to the deal. “While it is a standard practice that the state secretary, on behalf of the chief minister, would represent the government in such a deal, it is unclear why the son of the chief minister would be witnessing a multi-million dollar agreement between the government and a foreign firm,” said C4’s Cynthia Gabriel. The NGOs said it was believed that the consultancy fees accorded to Sarawak Capital was at least 16.5% of Trienekens’ investment in the joint venture. The documents stated that Sarawak Capital was engaged as Trienekens’s “exclusive consultant and advisor to assist TG (Trienekens) in the achievement of its responsibilities and obligations in the JVC (joint venture company)”. Experts in the legal field claimed that the contract has the characteristics of a “sham agreement”, Global Witness said. “Specifically, it contains no binding contractual obligations on Sarawak Capital in its ‘Scope of Works’. 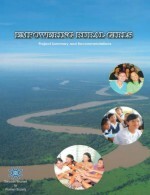 Instead it lists a range of activities whereby Sarawak Capital only ‘agrees to offer’ services. The experts also noted that there are no standard termination clauses as would be found in normal consultancy agreements. The only significant binding contractual obligation in the agreement relates to payments due to Sarawak Capital from Trienekens. “In our view, this agreement bears all the hallmarks of a thinly disguised kickback; it does not appear to commit Sarawak Capital to do anything for this money, and does not seem to make commercial sense,” Gabriel told a press conference in Kuala Lumpur. Global Witness said it has seen many cases where foreign investors are “obliged” to make payments to politically connected individuals or companies, as a condition upon doing business in the country. However, Taib’s lawyers have countered the allegations, saying that “the particular contract that you appear to refer to was not executed in the terms that you imply”. “Our clients deny receiving any ‘kickback’ and/or corrupt payment, whether amounting to 16.5% of an unknown amount or otherwise… you ignore the fact that what you alleged to be a 16.5% kickback was paid according to contractual project milestones,” said London-based law firm Mishcon de Raya, which represents the chief minister. 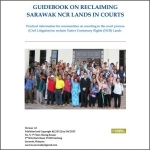 The lawyers insisted that Sarawak Capital was paid according to the services it rendered, including “conducting feasibility studies, assisting with the operations on the ground and assisting Trienekens to establish itself to its best advantage”. They claimed that the full fee was not paid as “some of the milestones did not happen”. 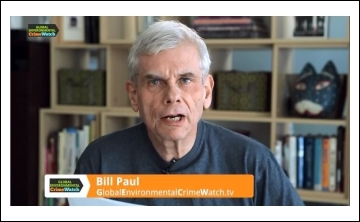 It was also learnt that in 2005, Trienekens’ chief executive officer Hellmut Trienekens was convicted of facilitating millions of euros in bribes to local officials via Switzerland to build a waste incinerator in Cologne, Germany. 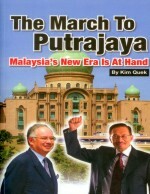 “These payments were made in 1999, the year after the Sarawak deal was arranged. C4’s Cynthia Gabriel called on Datuk Seri Najib Razak to interfere and delay Taib’s appointment as governor. – The Malaysian Insider by Najjua Zulkefli, February 27, 2014.Gabriel called on Prime Minister Datuk Seri Najib Razak to interfere and delay Taib’s appointment as governor until the Malaysian Anti-Corruption Commission (MACC) has completed its investigations into the matter. “There is significant public interest in this case being fully investigated by the MACC,” Gabriel said. Gabriel said she and three other C4 directors lodged a report with the MACC earlier today. “We also handed them all the documents pertaining to the MoU and also the separate agreement between Trienekens and Sarawak Capital. “We asked them to investigate if this is an illegitimate deal and if it was not against the law for Taib to stand as witness to the MoU,” she added. Gabriel, however, said that they were not convinced with the anti-corruption body’s response to the report. “They came up with statements saying there is no proof of Taib’s corruption and more. 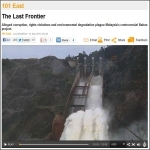 And they could not give us a timeline as to when they can complete their probe,” she said. “If we cannot get MACC to pursue big fish in corruption cases, then the public confidence in MACC is questionable,” she added. It was recently reported that the MACC probe had failed to nail Taib for alleged abuse of power over large tracts of land and logging areas which were given to his relatives as the approvals were made by two senior state ministers. The MACC investigation papers were opened five years ago as Taib was said to have used his office and position for gratification. “The team discovered that Taib did not make the decisions to evade running foul of the law but he had delegated his authority on the two ministers who on separate occasions had given the approvals,” a source told The Malaysian Insider. Taib, who served as chief minister for 33 years, announced two weeks ago that he would be stepping down at the end of the month and will be succeeded by Tan Sri Adenan Satem, his former brother-in-law. He is expected to have an audience with Yang di-Pertuan Agong Tuanku Abdul Halim Shah tomorrow afternoon to receive his credentials as the seventh governor of the state. Opposition politicians and NGOs have continued to voice their objections to Taib becoming governor, saying Taib was guilty of corruption and exploitation during his 33 years in office. 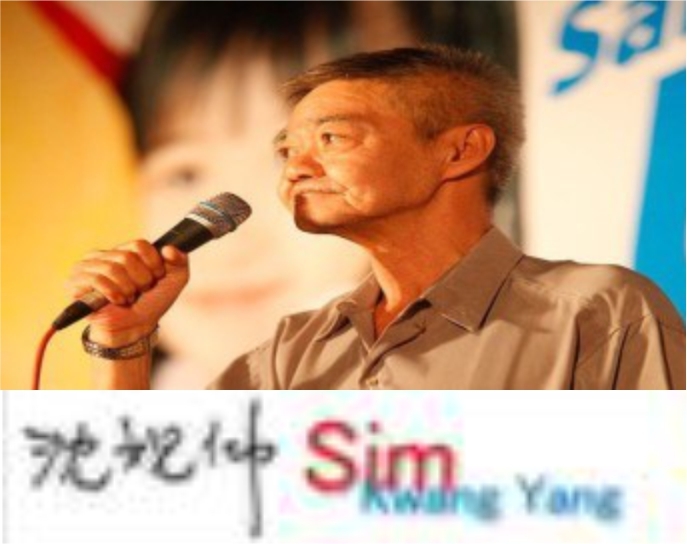 NGOs have launched an online petition to protest the purported appointment and DAP’s Padungan assemblyman Wong King Wei had recently filed a writ of summons in the Kuching High Court to restrain Taib from accepting the appointment of Sarawak governor. Wong said Taib should be restrained from becoming Yang di-Pertua Negeri because the state constitution stated an appointee was prohibited from being actively engaged in business and commercial enterprise. He also sought a declaration that Taib has violated Article 6(5) during his tenure as chief minister by actively engaging in commercial enterprises. 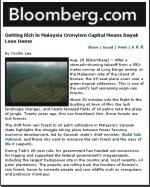 One of Taib’s fiercest critics – the Bruno Manser Fund (BMF) – named after a Swiss environmentalist who had “disappeared” in the forest of Sarawak, claimed Taib’s family assets are estimated at US$20 billion (RM66.7 billion) and that his family members also hold properties in Australia, Canada, Hong Kong, the United Kingdom and the United States. The BMF recently called on European governments to halt trade talks with Malaysia if Putrajaya continues to support Taib’s bid to become the state’s next governor. It said Malaysia would have to face stern political consequences if it backed Taib as governor. Rumours said Kuching City Council pening pala over the extravagant cost to pay Trieneken over the garbage disposal service. They left them with little of no fund tor other srevices. Thank you to the lucrative deals negotiated by dubious bureaucratic in power. In the country we call Sarawak either we are intelligent fools or ignorant fools not even know how to manage our waste disposal service. I always though the lowest strata or lowly educated people of the society are the people who will confine to such jobs. Why it need sophisticated Germans to undertake the waste disposal service? Tidak Masuh Akal !! !